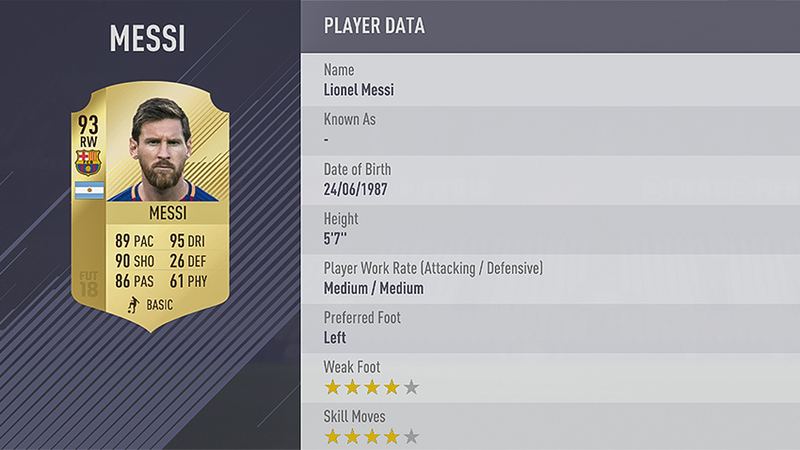 Below is the FIFA 18 player rating that was recored from the players previous performance. This the ranking from top to bottom with C. Ronaldo at the top, messi following up and the list goes on. This is also FIFA 18 and FIFA 18 Ultimate Team™ rating in the game which will be out this month 29th. Already PES 2018 is live and rolling. As brilliant as he is controversial, Suárez can finish with the best of them thanks to his powerful, accurate 90 Shooting. But beyond his amazing ability in front of goal, it’s Suárez’s 86 Dribbling and 81 Physical that truly sets him apart. He works extremely hard both with and without the ball, and his unpredictable nature makes it impossible for defenders to truly prepare for what Suárez will do next. Famous for being as adept with his feet as he is with his hands, Neuer has held a firm grasp on the title of best goalkeeper for a few years. He’s at the top of his game regarding traditional goalkeeping skills, like 91 Diving and 90 Handling, but it’s his 95 Kicking score that truly sets him apart. 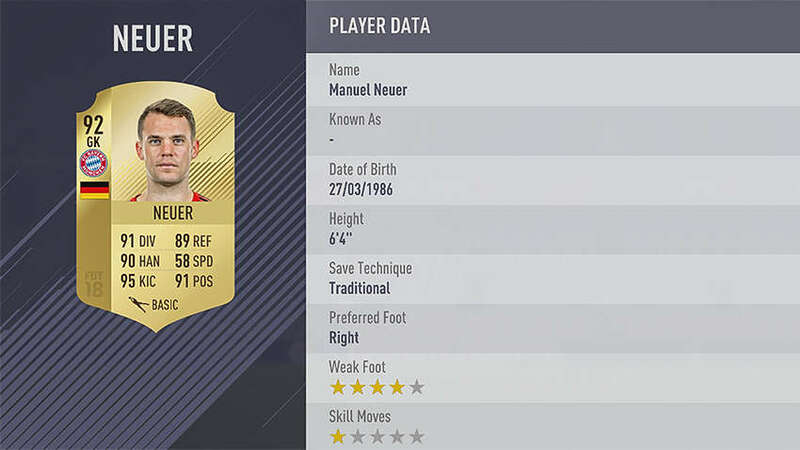 Neuer’s ability to kick off counterattacks with his feet is unprecedented, and having him between the sticks is like having an extra playmaker. Despite being dismissed early in his career as just a physical target forward, Lewandowski has evolved into the most complete striker in the game. He has the traditional target forward skills that his 88 Shooting and 82 Physical show, but his 86 Dribbling and 81 Pace round him out more than any other player at his position. The best centre back in the world, Ramos has an 83 Physical rating that makes him brilliant on both sides of the ball. Whether heading out of his own box or into his opponent’s net, few players can match Ramos’ aerial prowess. His 88 Defending encompasses the many traits in which he excels, from leadership to composure on the ball to an excellent reading of the game. Perhaps the most famous Belgian footballer in history, Hazard possesses an astounding 90 Pace and 92 Dribbling. Elusive and technical on the wing, Hazard is equally adept at cutting inside to shoot and moving to the touchline to pass or cross to a teammate. A key cog in the successful machines of both Real Madrid and the German national team, Kroos is the best passer (88 Passing) in the modern game. While his 81 Dribbling and 81 Shooting are both very important, it’s his ability to place a ball literally anywhere on a pitch that makes him truly world class. More on the traditional side as far as forwards go, Higuaín can finish nearly anything with both feet and his head. 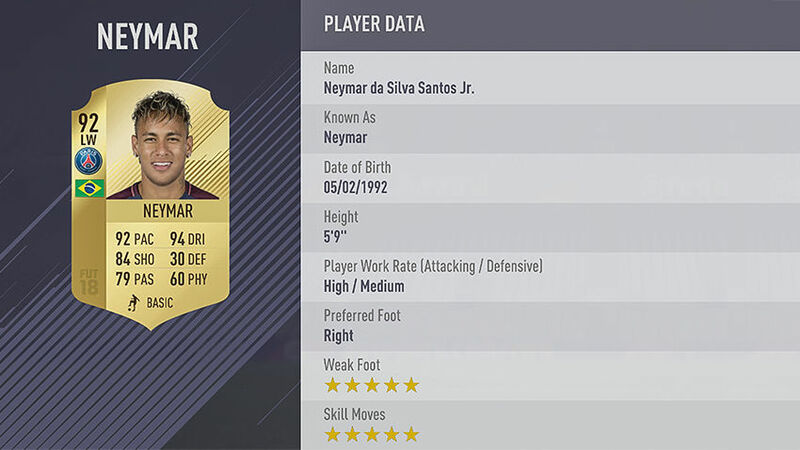 His 87 Shooting is extremely impressive, and his 83 Dribbling gives him the ability to open up space for himself and his teammates.